Volkswagen’s fourth world debut at the 2018 IAA Commercial Vehicles show is this Crafter HyMotion concept. 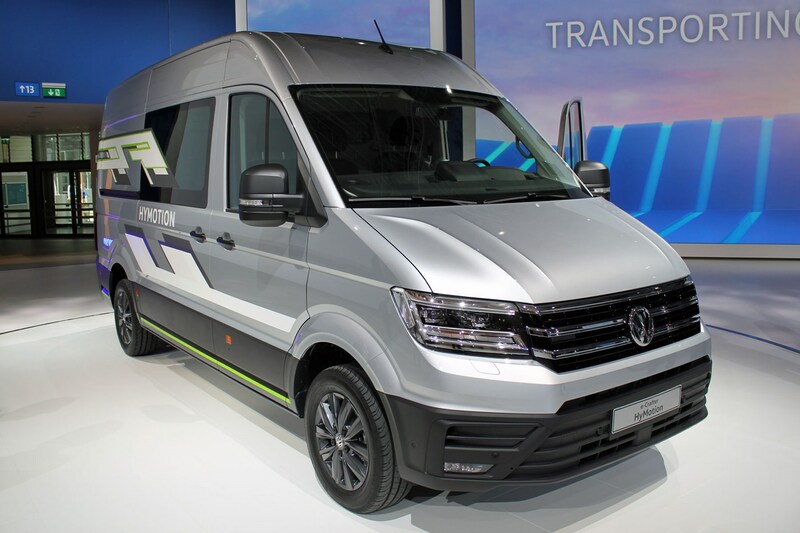 Badged as an e-Crafter on the back, it’s based on the newly launched electric version of the VW Crafter large van – the e-Crafter – but rather than rely on lithium ion batteries to power the electric motor that drives the wheels, the HyMotion is fitted with a hydrogen fuel cell. In other words, it’s a potential rival to the Mercedes Sprinter F-Cell, which has also been shown in concept form in 2018 (and makes another public appearance the IAA, too). 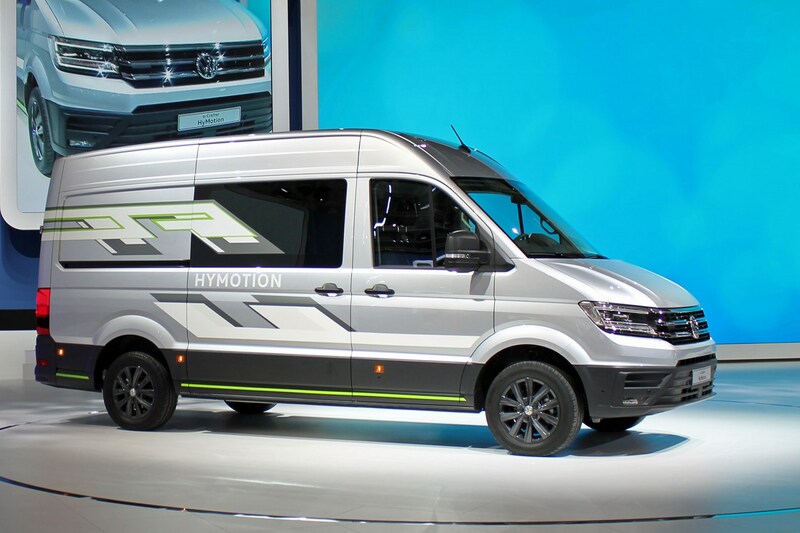 What’s important about the VW Crafter HyMotion? The problem with electric vans is that they can’t go very far before the batteries run out – and recharging those batteries takes a comparatively long time. Hydrogen fuel cells such as the one fitted in the HyMotion solve both of these problems, while still offering the super-low emissions of an electric drivetrain – it’s just that instead of batteries to provide electricity they use an on-board chemical reaction. The HyMotion’s wheels are still turned by an electric motor. 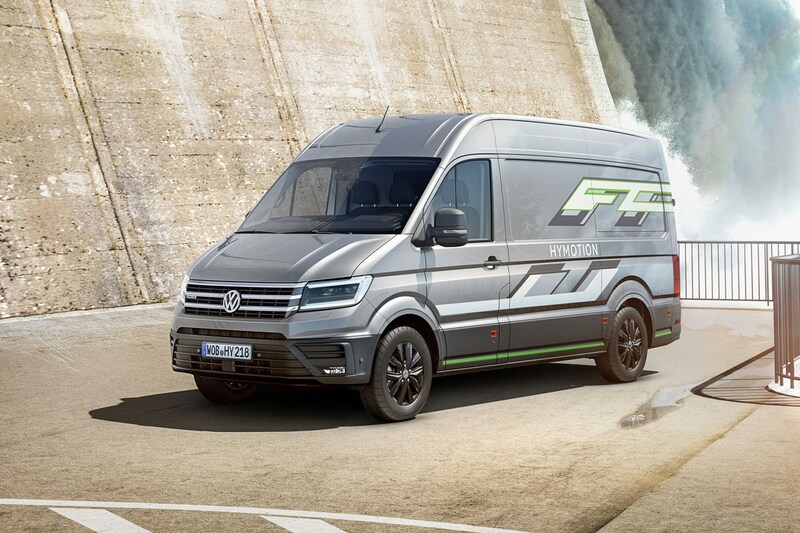 What’s the driving range of the VW Crafter HyMotion? Like the e-Crafter modular battery packs, the Crafter HyMotion would be offered with different numbers of hydrogen tanks, depending on how far particular customers would likely need to drive between refuelling stops. The basic model carries 4.2kg of hydrogen on board, which is enough for a claimed 217-mile (350km) range; this can be upgraded to 7.5kg of hydrogen capacity, which would give a claimed range in excess of 311 miles (500km). The current e-Crafter electric van has a 107-mile range. How easy is it to refuel the VW Crafter HyMotion and how long does it take? Refilling hydrogen tanks is a process that’s similar to stopping for diesel – you go to a filling station plug in a hose (which locks into position for safety), and hydrogen is pumped. Such refuelling systems now operated up to 700 bar of pressure, which means refuelling the Crafter HyMotion should take less than five minutes. So far, so good. Hydrogen doesn’t even cost much, either. The problem is that hydrogen fuel stations are few and far between – though there are already 60 in Germany, with 100 planned by 2021. How does the hydrogen fuel system alter the Crafter’s payload? 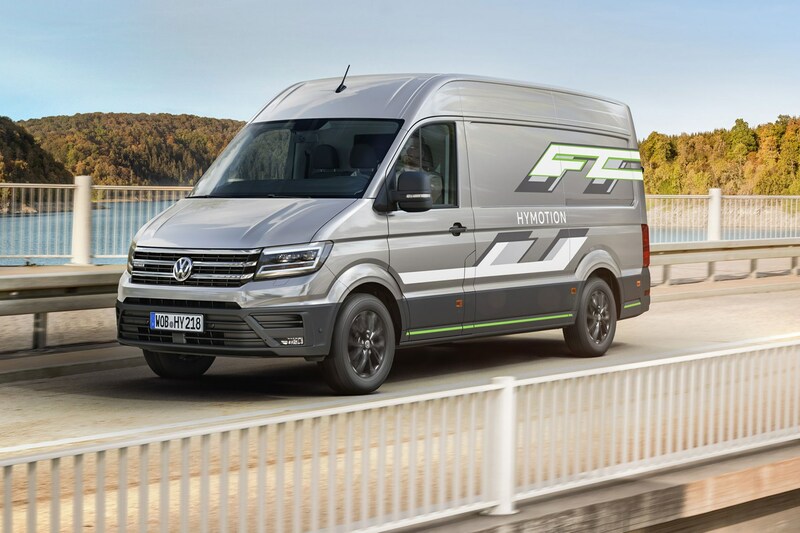 The Crafter HyMotion has a 4.25-tonne gross vehicle weight – the uprated maximum for alternative fuel vehicles that you’re allowed to drive on a UK car licence – so while VW hasn’t mentioned a specific payload rating yet, it should compare reasonably well to a conventional 3.5-tonne diesel Crafter. More significantly, perhaps, the fuel cell technology is lighter than the equivalent e-Crafter pure electric van as it doesn’t require the heavyweight lithium-ion batteries of that model. 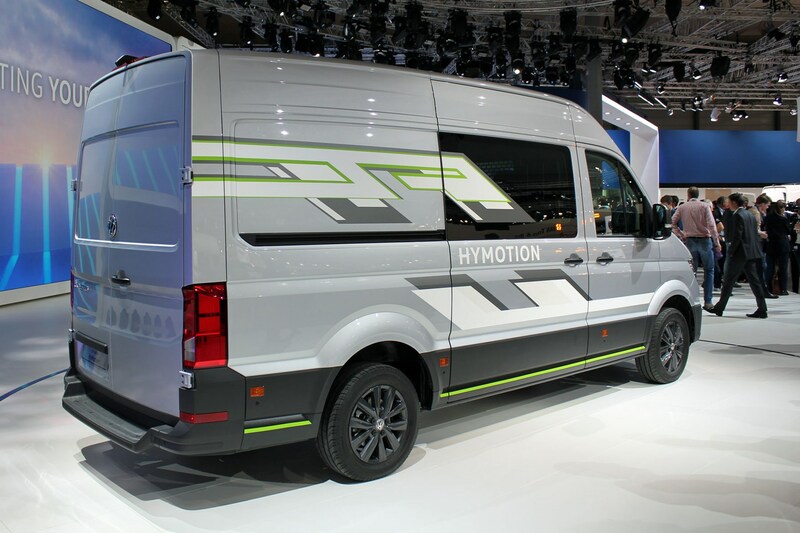 When does the VW Crafter HyMotion go on sale? 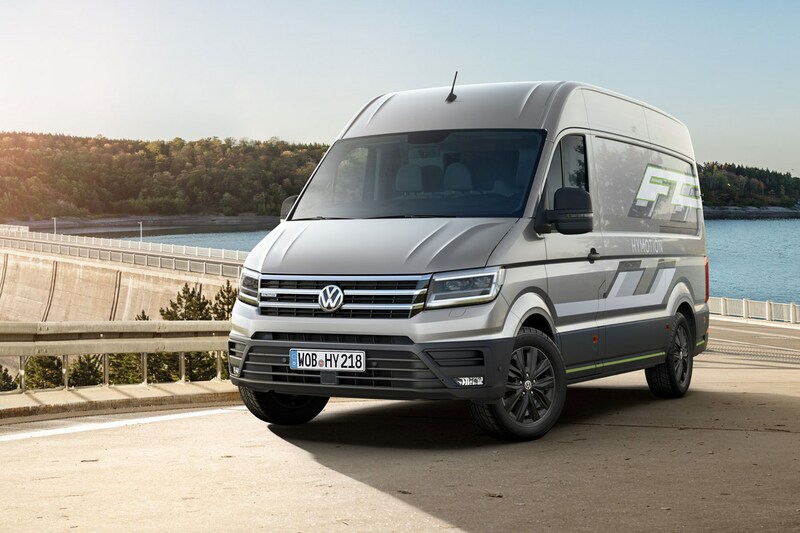 VW has no firm plans to put fuel cell technology into production in the Crafter just yet, but as the number of hydrogen filling stations increases, so too does the viability of alternative-fuel vehicles like this one. So it could be sooner than you might think.